With China’s trend of Reform & Opening-up policy in early of 90th in China, JINBO brand was created in 1993. JINBO located in ZHUHAI city, one of the 5 Special Economic Zones, where is also a city in the most dynamic area of China: Guangdong province. JINBO was an Ozone Generator factory initially, main product was Air Purifier which is based on theory of extreme high electricity voltage transforming from 100~250V. Economy growth continued in China, NEON sign was getting more and more popular year after year, neon transformer is a key part for neon sign, with same voltage transforming theory as an Air Purifier, JINBO seized the opportunity and started to produce electronic neon transformer since early of 1994, success are achieved after countless failures, with honesty in business, JINBO brand electronic neon transformer became the most popular & welcomed products for neon sign makers nation-wide, success also spread in international market, sales volume doubles almost every 1~2 years and fame firmly established. Nothing stays the same but change, so do as illuminating sign transformer business. LED sign comes and replaced the neon’s place since 2006~2009 in China, by then JINBO has already got rich experience on transformer manufacturing after 12 years development, comparing with high voltage transformer in neon sign, usually LED sign is a much easier because it only need to transform voltage from 100~250V to 12 or 24V. Therefore illuminating sign transformer industry’s barrier is much lower than high voltage transforming era. Competition was getting heavy, but we are not afraid of competition as we born from it, with persistence on quality and technology, with true enthusiasm on illuminating sign, also with the trust from hundreds of thousands end-users, JINBO’s success continues, because of reliable quality and reasonable pricing, dealers are royal to us, and project makers keep trust in JINBO and we always do not fail their trust. 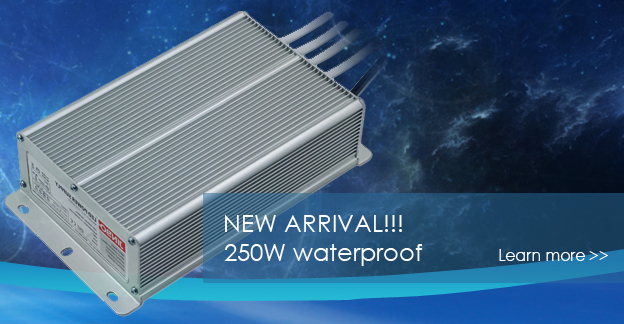 Now JINBO is one of the most famous LED power supplies manufacturers in China, cooperating with many Forbes Top 500 companies, JINBO products are also servicing in many top projects like The Olympics Games, APEC conference, World Expo…etc. With sincerely and commitment on better sign, we believe that one day JINBO will also become one of the top worldwide power supply brands. JINBO, the power behind your lights.